Cocktails are already a great way to relax and unwind, but a new trend you’ve probably seen everywhere is taking things things one, very chill step further. Replacing activated charcoal as this year’s ubiquitous food fad is cannabidiol, the non-psychoactive chemical found in hemp and cannabis that’s been creeping its way onto cocktail menus (and into coffee shops) all over the country. While CBD contains no THC, and therefore will not get you high, it will still deliver some of the non-trippy effects of weed—a little sedation and relaxation. And bartenders are taking note, experimenting with the stuff in everything from infusions and tinctures to teas. But what exactly do you feel when you mix your CBD with booze? 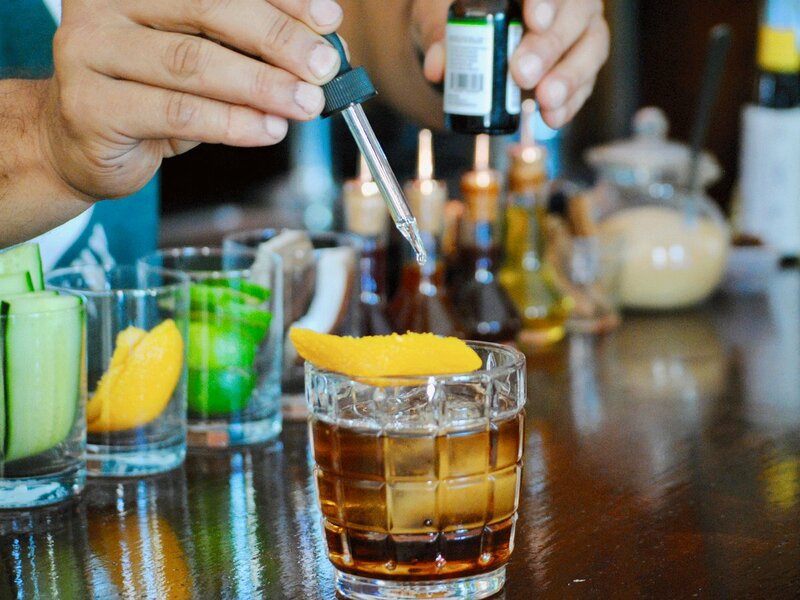 Adriaen Block’s cocktails, with witty names like the Rolled Fashioned and Stoney Negroni, get their CBD content from various tinctures added via eyedropper to manage the dosage. 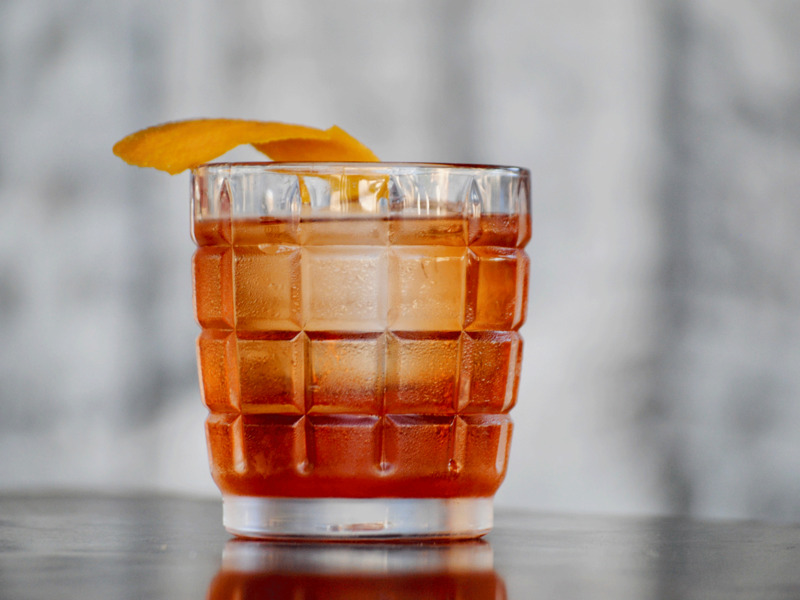 Csonka chooses to make his drinks exclusively with low-ABV spirits, such as vermouths and sherries, which he believes works best for calming effects and overall wellness. Beyond its purported health benefits, the application of CBD in cocktails can lead to a number of different flavor and texture enhancements. Its natural taste is mostly neutral, with green, chlorophyll-like notes that can add a pleasant complexity to certain drinks. Meanwhile, owner-bartender Johnny Swet of New York’s Jimmy at the James says sometimes he likes to go even further, adding the hemp flavor directly to the spirit by fat-washing it—a form of infusion—in addition to adding a CBD component. 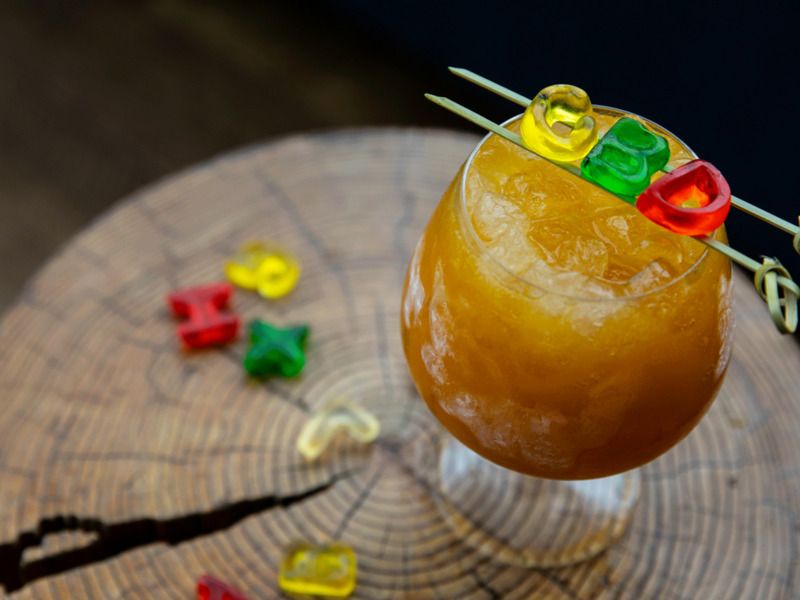 But he opts for a different method depending on the drink’s other ingredients, experimenting with tinctures, teas, and even edibles: his Jeff Spicoli Special fuses mezcal and Amaro Montenegro with pumpkin butter and a CBD gummy bear. For cocktails where the taste of CBD oil might overpower the other flavors, Swet recommends picking a spirit with a heavy dominant flavor of its own. Despite the fun and versatility of CBD ingredients, Burkons cautions that adding CBD to drinks is still in a legal gray area. In July, the California Department of Health issued a notice to food-and-beverage operators, stating that it’s illegal to add CBD to food and drink, even threatening fines to Orange County cafe marketing the stuff as a dietary supplement. (To note, a hemp taqueria and CBD smoothie bar are still operating in LA). But until other Departments of Health put the kibosh on CBD cocktails, experimentation will likely forge on. Burkons advises that any bartender looking to work with CBD should put as much care into sourcing it as they would their spirits list. While the amounts of CBD typically being used—usually between 3 and 5 miligrams—are not enough to provide the reported medicinal benefits, the relaxing effects of a few drops are undeniable. And with the creativity of today’s bartenders, it’s no surprise these feel-good and taste-good CBD cocktails are becoming fast favorites. You heard it here, folks. Next time you’re having trouble chatting up someone at the bar, try a CBD cocktail.